Your body is a combination of organs and systems that work together to keep this complex machine working. Some of these functions are so important for you to live, and if even one of them fails, you may die unless you make use of specific medical procedures, commonly known as life support. These medical procedures may not always prove helpful, but they definitely give some hope. 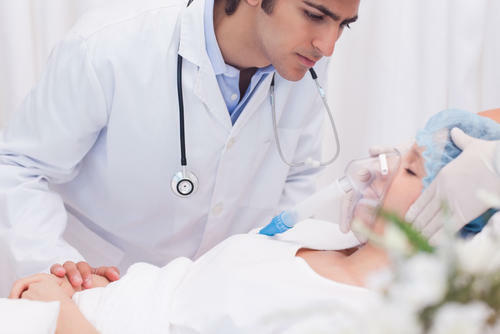 In a brief definition, life support refers to specific medical procedures that help keep a person alive when one of their essential organs stops functioning. Life support is basically a combination of techniques and treatments medical specialists use in emergency situations. Your healthcare provider may opt for one of these procedures when a vital body organ fails to function properly. Although most of these medical procedures require an expert healthcare provider for execution, you can provide basic life support to someone before taking him/her to the hospital. Is a Ventilator Considered Life Support? Many people ask, "What is life support?" but they still find them confused. One common question is "Is a ventilator considered life support?" The answer is yes. A ventilator is basically a machine specially designed to help a patient keep breathing. Its basic function is to keep oxygen flowing throughout your body by pushing more air into your lungs that may not be functioning properly due to a condition like pneumonia. You may need to be on a ventilator if you're a victim of lung failure. Also known as tube feeding, the type of life support helps people who cannot eat or drink on their own. It involves transferring a chemically balanced mixed of fluids and nutrients to a person's stomach through a tube. You may have to use artificial nutrition and hydration until your body heals completely. People with serious disorders that prevent them from digesting their food are also a good candidate of this type of life support. When a person's breathing or heart stops, the healthcare provider may consider taking advantage of cardiopulmonary resuscitation (CPR). This type of life support helps restart breathing and heart after drowning or heart attack. Critically ill patients may also need CPR, but the success rate is usually quite low in this case. This life support method helps when a person's kidneys fail to function properly to throw harmful wastes out of the body. The treatment helps restore the blood to a normal balance. Dialysis is not a permanent cure in case one of your kidneys fails, and you usually need to go for a kidney transplant to correct the issue. When Is Life Support Needed? You usually need life support when any of the following systems stop functioning properly. Lungs: You may require life support in cases of pneumonia, near-drowning, drug overdose, and a severe lung disease such as cystic fibrosis or COPD. You may also need life support when suffering from a nerve disease such as ALS. Heart: You will require immediate assistance and life support in case of a heart attack or sudden cardiac arrest. Brain: You will require life support if you get a severe blow to your head. When one of your family members is on life support, the doctor will inform you when there is absolutely no hope left for recovery. This is usually when the organs cannot function without support. It is important to understand that if you choose to stop life support, the patient is more likely to die within a few hours. It is therefore important to think hard before you choose not to continue with life support. It often provides families with time to evaluate a traumatic situation and make peace with it. It even provides patients a chance to recover. Knowing someone is on life support gives the grieving families enough time to decide if they want to donate any of their organs. Many patients require organ donation to survive and life support really help in this regard. It is true that not everyone on life support can donate an organ, but there are chances. Not everyone can bear the cost of life support, so it is not possible for everyone to take advantage of this option. Even if someone opts for it, they usually find it difficult to continue with it for an extended period. You will have to bear with extremely high hospital bills if you choose to keep someone you love on life support. Many opponents believe that using life support usually means prolonging suffering for a patient. Not only will the patient be suffering, the family will suffer and be in a state of limbo. The patient may still be technically alive, but he/she may be like dead.